I joined this review tour with my seven-year-old son in mind. When the book came I was a little worried that it was more for younger children (the illustrations and the conversation from the first few pages seemed geared for a younger audience). However, I was very happy when my son said that he really liked the book. He liked that it told about what you do on a mission, and that you don't always get what you want (let in to talk to people, baptizing people, etc.). He liked the letter writing part of the story. 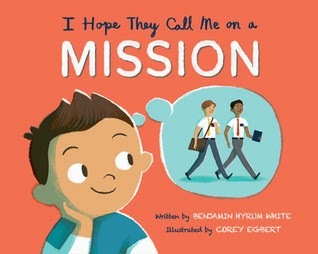 He wasn't sure if his friends would like the book or not, but he thought it would be a good book for them to have to learn more about missions. My eleven-year-old daughter also liked the book. She's into art, and liked that the illustrations were different. She also enjoyed that it told the goods and bads of a mission. She got a kick out of the part that talked about having to eat gross food. She thought it was geared toward younger kids, but had some parts for everyone.